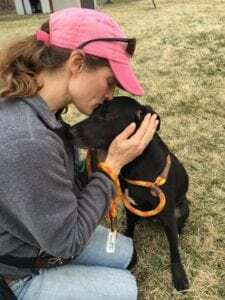 A farewell to Susan Russell, who was unceremoniously fired as executive director of Chicago Animal Care and Control at the end of June, is barking goodbye to Chicago. She’s off to The Animal Care and Control Team of Philadelphia (ACCT Philly). 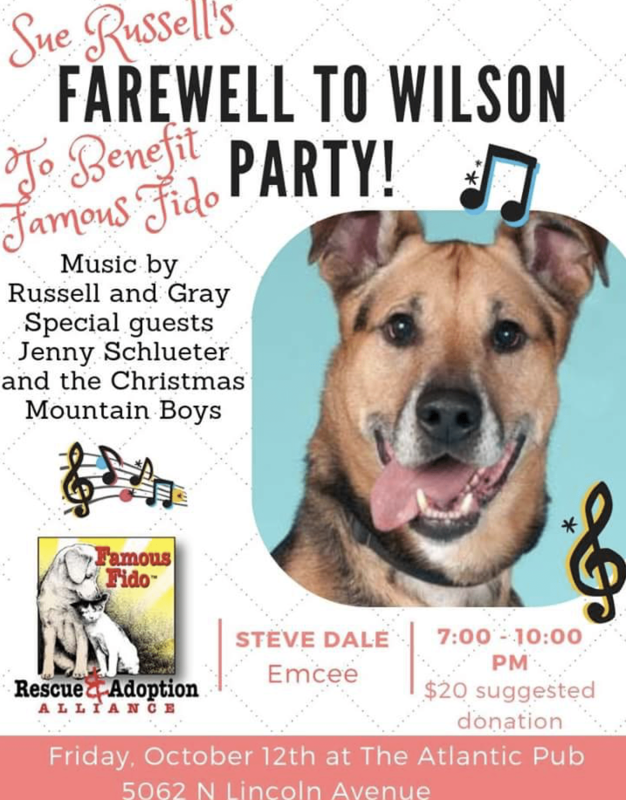 Her farewell party on Friday October 12 at the Atlantic Bar, 5062 N. Lincoln Ave., is a fundraiser for Famous Fido Rescue & Alliance, and a dog named Wilson who continues to be cared for by select Fido volunteers. It’s Wilson who does that selecting. Most of all this is an opportunity to say ‘thank you’ to Russell. After just over two years on the job as executive director of Chicago Animal Care and Control, Mayor Rahm Emanuel fired Susan Russell on June 29. There isn’t a City in America that wouldn’t be happy with a live release rate of dogs and cats of just over 90 percent at a municipal animal shelter. I was proven wrong – Chicago wasn’t happy, at least Mayor Rahm and Aldermen Ray Lopez weren’t happy. And meanwhile, only weeks after dismissing Russell, Mayor Rahm announces he’s not longer running for Mayor. Russell’s leadership shifted the direction of Chicago Animal Care & Control (CACC). Aside from her position at CACC, Russell managed for some time to volunteer at Fido’s with Chicago animal welfare pioneer Gloria Lissner. The Farewell to Susan Russell event will include live music from Russell herself and Jenny Schlueter, who works at CACC and is a long time absolute hero among those in animal welfare, creating all sorts of programs in her career which have been replicated around America. The Christmas Mountain Boys also perform. I will emcee the event, which starts at 7 p.m. At donation of $20 is suggested.